« Which is Better? Tim Tebow or A 4th-Round Selection? The Saints punishment was handed down by the league today, and it’s one that comes with a heavy price. The NFL has suspended coach Sean Payton for a full year, general manager Mickey Loomis was also hit with an 8-game suspension, and former defensive coordiantor Gregg Williams, now with the Rams, has been suspended indefinitely. Assistant head coach/linebackers coach Joe Vitt was hit with a 6-game suspension without pay as well. 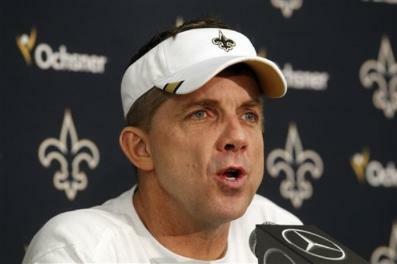 On top of that, the Saints will be docked $500,000 and second draft picks in 2012. The punishments come against after the league wrapped up their investigation into a bounty program the league said the Saints employed from 2009 to 2011.